190 acres of unbroken countryside. Comfortable, open plan eco living. Cosy evenings by a warm wood burner. Peaceful nights under a blanket of stars. Nestled away between the trees. 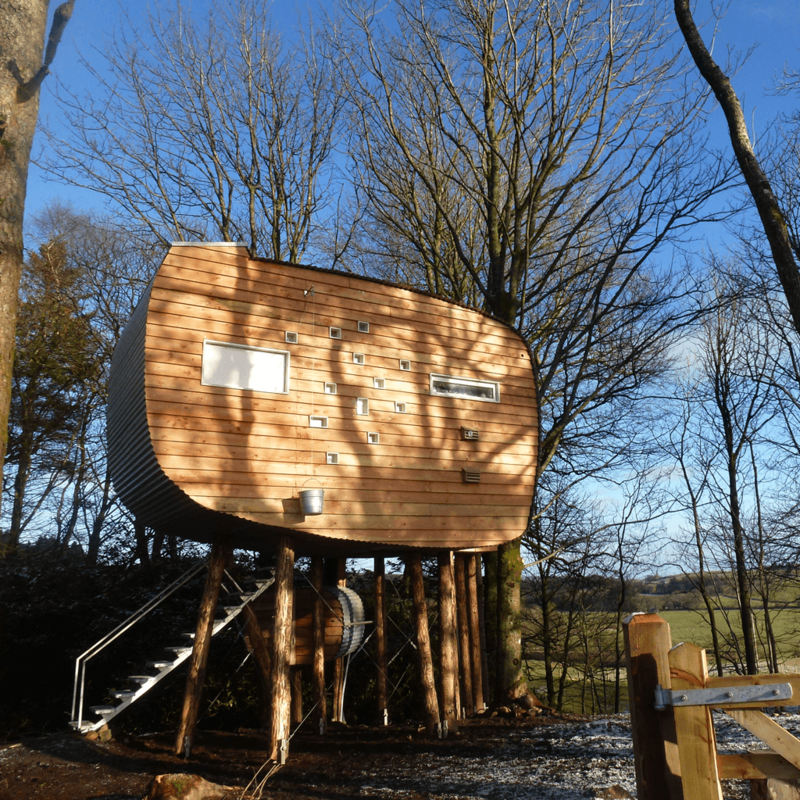 We have 2 units available to rent, an Eco Bothy and a Treehouse. Situated on our small family run working farm in Southwest Scotland. Both have been designed by award winning designer Sam Booth and have featured in Channel 4's George Clarke's amazing spaces. Discover more about our boutique eco accommodation below. 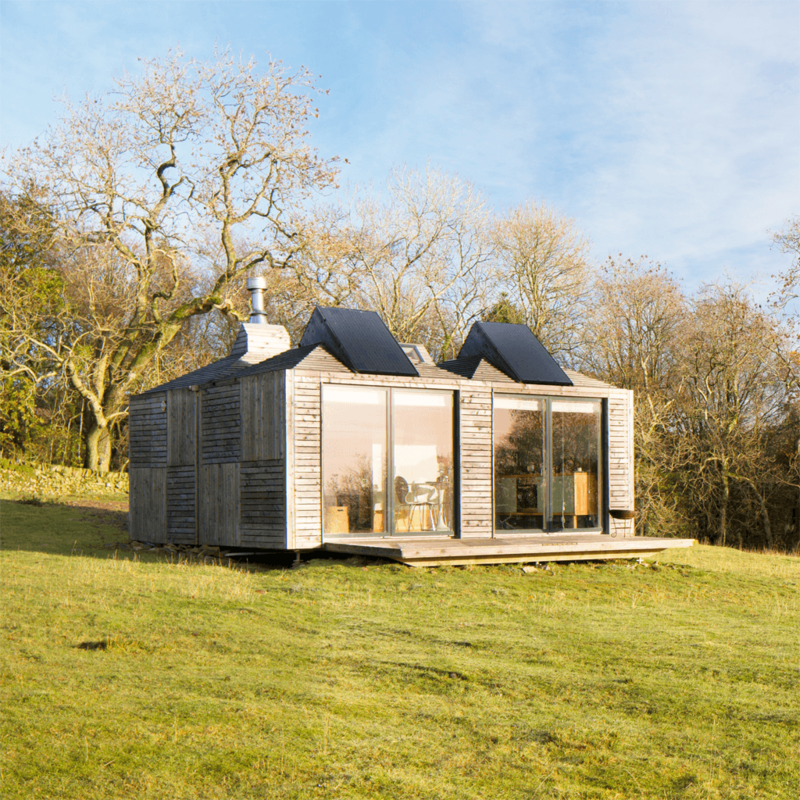 Brockloch bothy is a contemporary micro timber framed building which has been sympathetically designed to complement its surroundings. The farm consists of 190 acres of unbroken scenery where red kites, red squirrels, deer and badgers are regular visitors. Our Treehouse is designed as a cosy romantic hideaway for 2 people. It nestles in our very own Bluebell wood surrounded by native broadleaved trees and the odd red squirrel. The built in double bed also has a skylight to gaze at the treetops and stars as you drift off to sleep. Copyright © Brockloch Farm 2019. All rights reserved. Designed and developed by the people of Forty8Creates Ltd.